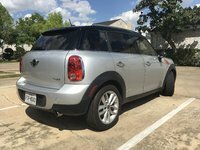 The 2013 MINI Cooper Clubman follows the same drum as its smaller counterpart and sees only a few changes leading into a 2014 overhaul. Sirius Satellite Radio is now an option, with Bluetooth taking its place among the standard features list, and a new Premium option package offers a dual-pane panoramic sunroof, automatic wipers and automatic climate control. Otherwise the peppy but practical Clubman compact carries into 2013 with the same base, S and John Cooper Works (JCW) editions you love and remains very competitive in its class for everything except rear legroom and cargo capacity. MINI keeps no secrets—or at least, doesn't keep them very well—so we already know the next-generation 2014 Cooper and Cooper Clubman will feature all-new high-tech engines with a new body and more available body styles. 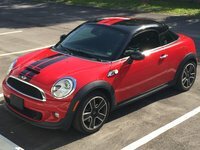 Whether MINI will address the road noise and stiff ride remain in the air, but 2012 drivers no longer mention the loose rattling so common to the customizable Cooper chassis in previous years, which means that aspect, at least, may already be a non-issue. Coopers aren't known for making a strong debut, though, so don't get too excited about the 2014 promised land—especially when there's such a perfectly cute spitfire available now with ample tried-and-true pep. Although the Cooper and Cooper Clubman receive basically the same treatments year after year, the Clubman is nevertheless a completely different car. 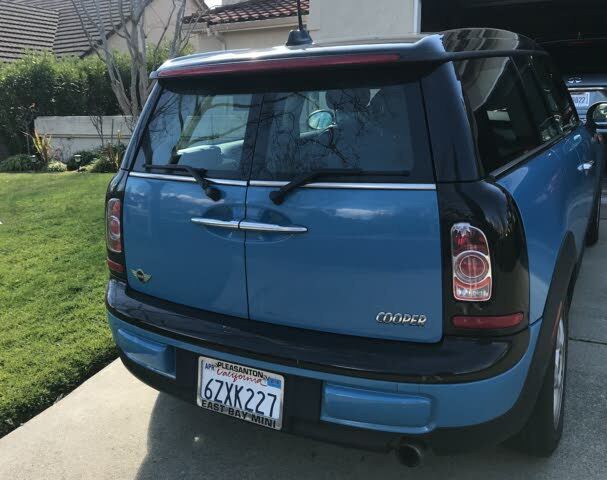 Regarded as "a full-size Cooper," the Clubman is 9 inches longer than the Cooper, offering 2.5 inches of additional rear legroom, accessible through a passenger-side reversed "club" door, and nearly twice the cargo capacity (9.2 cubic feet normally, 32.8 with the seats folded down) through a barn-style pair of doors rather than the usual hatch. Adults will be undoubtedly uncomfortable in the 2 rear seats, but adults can actually sit in a normal position in the Clubman's rear whereas the Cooper's rear seating is best suited to friends of the 4-legged variety. The Clubman is about a half-second slower to 60 mph than the Cooper and doesn't turn quite as tightly, but these figures are still on par and above-average for the compact class. The Clubman is just 2 mpg less efficient with the smaller Cooper's very same engine. Starting at the Base, its standard 1.6-liter inline 4-cylinder produces 121 hp and 114 lb-ft of torque and takes 8.9 seconds to get to 60 mph with the 6-speed manual (10.2 with the automatic). It uses premium fuel at a rate of 27 mpg city/35 highway regardless of transmission. The turbocharged S is also offered with a 6-speed manual or automatic, but puts out 181 hp and 177 lb-ft of torque normally or 192 lb-ft with overboost. The manual again is quicker and more fuel efficient, taking 6.8 seconds to 60 mph and getting 27/35, the automatic being 0.3 seconds slower and 1 mpg less efficient. The JCW is stick-shift only and further tweaked to offer 208 hp and 192 lb-ft of torque, 207 lb-ft with overboost, for zip-to-60 in 6.5 seconds and a respectable 25/33 fuel economy figure. What's your take on the 2013 MINI Cooper Clubman? 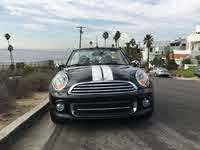 Have you driven a 2013 MINI Cooper Clubman?